Batteries that are smaller, faster, and more stable are in great demand as devices become smaller and more powerful. Chemists at the University of Illinois have created a superionic solid that could be the starting point of next-generation lithium-ion batteries. 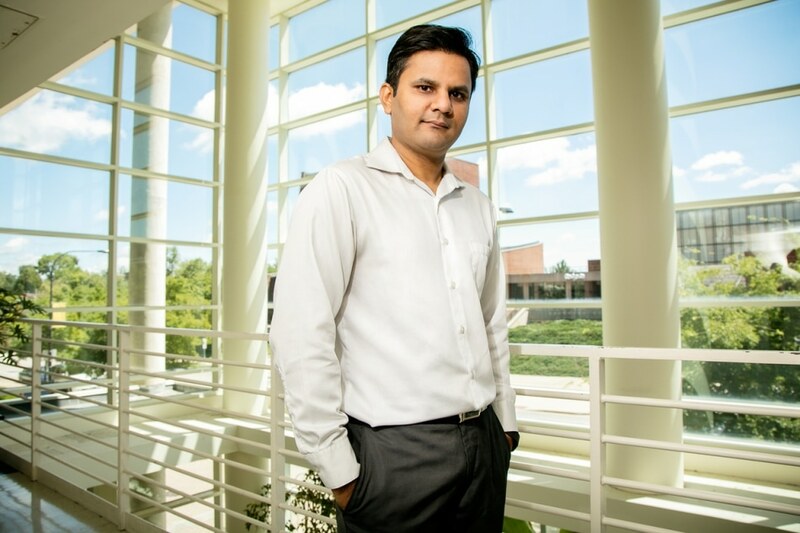 The material, ultrasmall nanoclusters of copper selenide was described by Chemistry professor Prashant Jain and graduate students Sarah White and Progna Banerjee in the Nature Communications journal. Now that we’re seeing this nanoelectronics boom, we need tiny batteries that can be put on a chip, and that can’t happen with liquid electrolytes. We are using nanostructured materials to achieve the properties at the heart of lithium-ion technology. They have much more thermal and mechanical stability, there are no leakage issues, and we can make extremely thin electrolyte layers so we can miniaturize batteries. Common lithium-ion and other ionic batteries are filled with a liquid electrolyte through which the lithium ions move. The ions flow in one direction when the battery is in operation and in the opposite direction when the battery is being charged. However, liquid electrolytes have many downsides: They are highly flammable, require volume, leak, and degrade as the battery cycles, which have caused explosions in laptops, phones, and other devices. Although solid electrolytes are significantly more stable, ions travel through them a lot more slowly, making them less effective for battery applications. The copper selenide nanocluster electrolyte incorporates the best of both solid and liquid electrolytes: It possesses the stability of a solid, but ions easily travel through it like a liquid. Copper selenide is said to be superionic at high temperatures, but the miniature nanoclusters are the material’s first exhibition of being superionic at room temperature. The researchers found out about this superionic property by chance while analyzing the surface reactivity of copper selenide. They noted that ultrasmall nanoclusters – approximately 2 nm in diameter – appeared very different from bigger copper selenide nanoparticles in an electron microscope. That was our first hint that they have different structures. We investigated further, and we realized that these small clusters are actually semiliquid at room temperature. Jain said that the special structure of the nanoclusters was the reason behind the semiliquid, superionic property. The much bigger selenium ions develop a crystal lattice, while the smaller copper ions travel around them like a liquid. This crystal structure is due to an internal strain in the clusters. With around 100 atoms, these nanoclusters are right at the interface of molecules and nanoparticles. Right now, the big push is to make every nanoparticle in a sample exactly the same size and shape. It turns out with these clusters, every single cluster is exactly the same structure. Somehow, at this size, the electronic structure of the material is so stable that every single cluster has the same arrangement of atoms. The team is currently involved in incorporating the nanoclusters into a battery, measuring the conductivity of lithium ions, and comparing the performance with current liquid electrolytes and solid-state electrolytes. This research was supported by the American Chemical Society Petroleum Research Fund.